Looking after your eyes is a must. At the grand age of 24 I’ve started to notice how my eyes are showing signs of ageing. Fine lines, dark circles and discolouration. Not cute. Eye cream isn’t just something that your nan uses. We should all look after our under eye areas, it’s an essential part of a skincare routine. Eyes are delicate and sensitive - rubbing off our mascara and tugging at them to apply our eyeliner - not the best. Giving your eyes a bit of extra attention and love will make a hinge difference. It will help keep your eyes looking brighter, more awake, reduce shadows, and minimise any early morning puffiness. 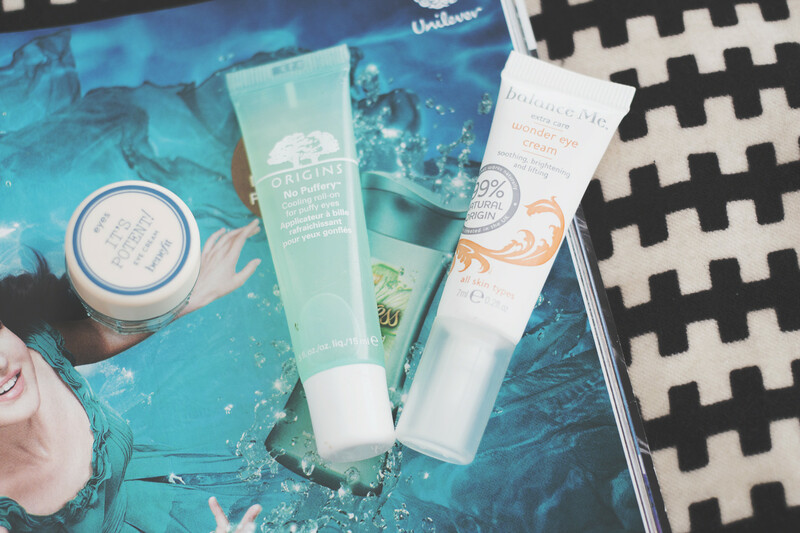 Picking a eye cream might be a bit daunting (boring) but here are my favourites to help you pick your own! Origins No Puffery is a lovely cooling rollerball under eye treatment. It’s soothing, cooling and really perks up the under eye area. It’s my quick fix under eye treatment. It quells under eye puffing in no time! Benefit’s It’s Potent is my personal favourite eye cream. It’s thick and creamy but sinks straight into the skin. Using my ring finger I’ll take a light layer on or when my eyes are in need of a deep hydration I apply a thick layer like a under eye mask. I also really like the Balance Me Wonder Eye Cream as it’s affordable, cooling and brightening on the under eye area. It’s also 99% natural which is great for those conscious of the environment! There are many locations on the internet to locate details about how to spot rolex replica uk as well as how to prevent all of them. Many people nevertheless may look at a rolex replica sale simply because because formerly mentioned you are able to get the close to ideal duplicate for any small fraction from the cost. Individuals should also what you need and provide concern for that points they require and purchase the louis vuitton replica they would like once they possess more money for this. Nevertheless at the conclusion from the day time absolutely nothing is better than the products a genuine luxurious gemstone view. These types of luxurious wrist watches aren't just for informing time; this could additionally exemplifies the particular owner standing as well as hublot replica uk flavor popular. These days the gemstone watch is among the numerous desired luxurious wrist watches; using its spectacular gemstone elegance that's imprinted within the area will truly fascinate anybody close to this. Skin around eyes is very sensitive. Products that contain gentle, non-irritating compounds that reduce the appearance of wrinkles, along with a wide range of vitamins, antioxidants, and skin-plumping substances are ideal choices.